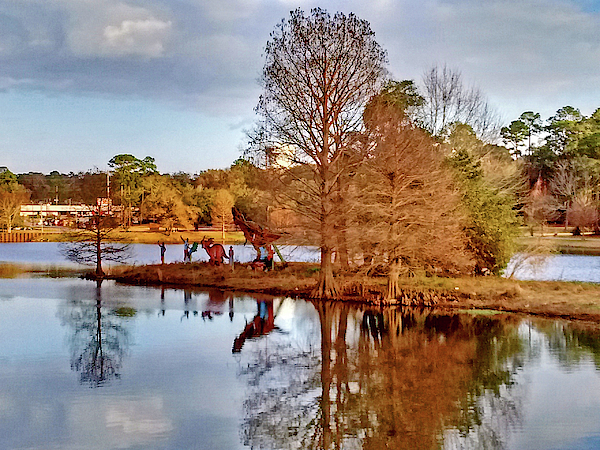 This beautiful scene glows with autumn colors Marian. I love this little park with the colors you have chosen to present it. F/L/TW. Many thanks, Randy! It is a nice park to visit and enjoy the scenery. Thanks for the F/L/TW! 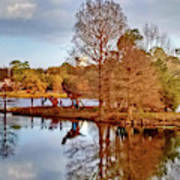 This island is in the midst of the lake at Langan Park in Mobile, Alabama, a popular place for families to play in the park, have cookouts, and enjoy some outdoor concert entertainment. 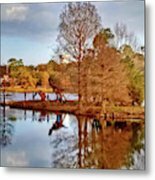 Also known as Municipal Park, it opened in 1957 and was named for Joseph N. Langan, a former Mobile mayor, who was also a state senator and city commissioner. The park offers a variety of user friendly spaces, such as the eighteen hole Azalea City Golf Course, the Mobile Tennis Center with its 50 lighted tennis courts, children’s playgrounds and picnic areas. 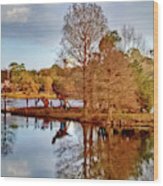 The Mobile Museum of Art, The Mobile Botanical Gardens, and Playhouse in the Park are all just across the lake/street from Langan Park.